Brown husky missing. Last seen at the crossroads of elkhorn and watt. 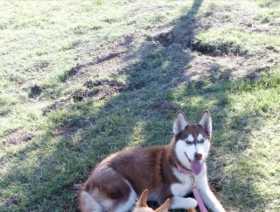 Some people have noticed a husky running around in rio linda.